Michel Jodoin is one of the most important cider houses in Canada. Founded in 1901, the company has long been known for its excellent products, which have also received several awards. The company continues to grow and create new apple products. 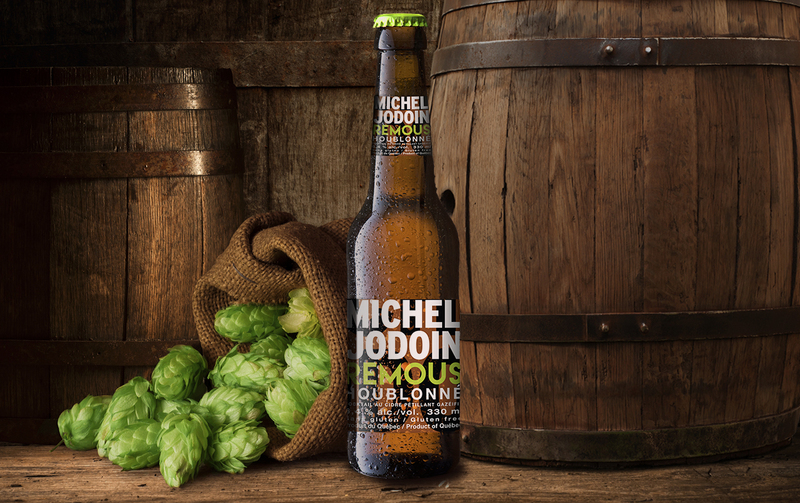 Objective: Michel Jodoin cider house recently created a new product based on cider and hops. The company wanted a turnkey concept to promote it, from market analysis to the design of the final packaging, including researching the competition and creating a name. 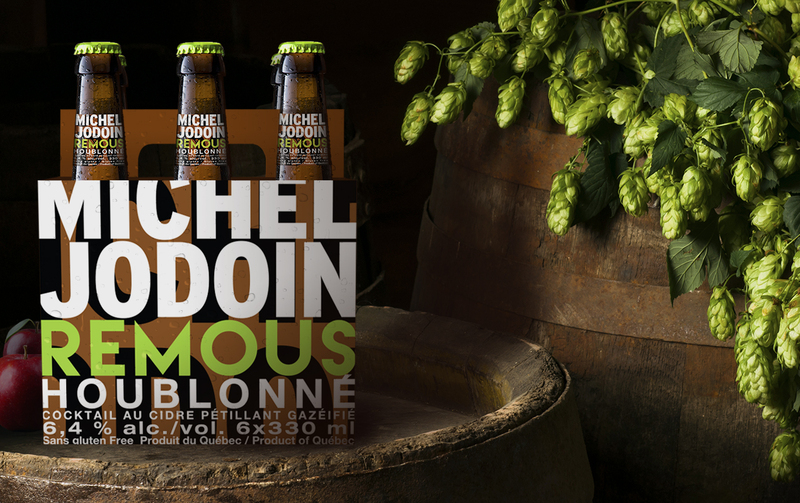 It was important to differentiate this new hop-based cider from other Michel Jodoin cider house products. H20 communication devised the name REMOUS, and then created youthful, down to earth and original packaging that engages its target customers. The packaging stands out well at point of sale due to its colour and style. We relied on the association between the name of the cider house and the product, which greatly contributed to increased brand awareness. Moreover, due to the six-pack packaging, as well as the shape and colour of its bottles, this hop-based cider really stands out from other ordinary ciders. We also created an advertising campaign for specialized magazines to help launch the new hoppy REMOUS.